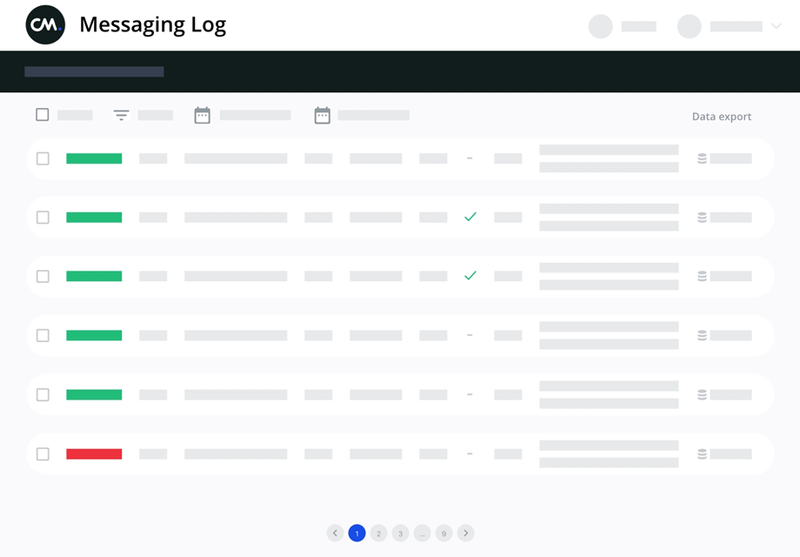 Messaging Log » Detailed insights into your traffic | CM. By adding Messaging log to your arsenal of applications you allow yourself to be in control of your traffic. Check delivery, pricing and more. The Messaging log is a simple and intuitive analysis tool to look into your current and past traffic. This allows you to check why some messages might be failing and what the total price is of all your messages in a certain time frame. Once you’ve made yourself familiar with the application you might find yourself figuring out ways to tweak your messages to improve delivery rates and lower costs. Check the pricing for your messages within a certain time frame and check the costs per single message. Filter messages on delivery status, content, conversion, sender and/or recipient. Create a list of phone numbers to send a message to, for example for re-marketing purposes. Simply go the the Messaging log app and set your time frame and filter. With the remaining messages you can set multiple actions such as exporting the data or send a message. The Messaging log is included in our SMS solutions. Whenever sending SMS batches, you can use all added features and will only be charged the standard SMS subscription pricing.